Crews moved the facade of the former Madison - Wabash Loop elevated station house. 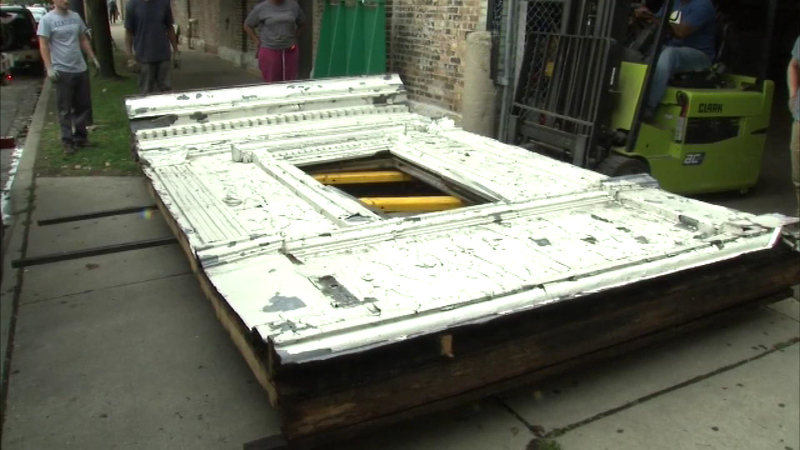 CHICAGO (WLS) -- Crews moved a piece of Chicago transit history on Thursday - a historic facade of the former Madison-Wabash Loop elevated station house. The facade was built in 1896 along with the rail line through downtown. Construction started this year to remodel the station and that meant tearing down the historic building. But now the facade is at the Rebuilding Exchange on West Webster, where it will be displayed for the next two years.